Complete package for study of Arches, Bridges and Trusses. 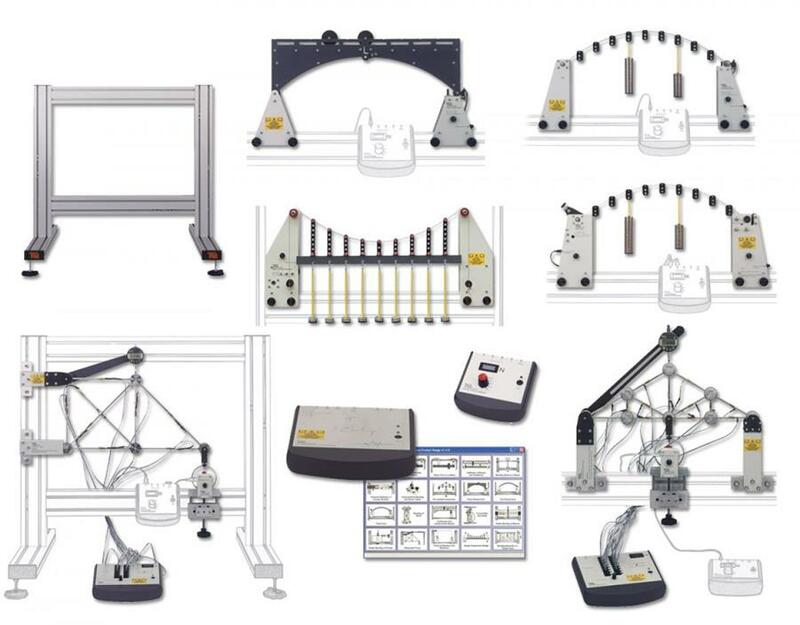 The package includes Two-Pinned Arch, Three-Pinned Arch, Fixed Arch, Redundant Truss, Simple Suspension Bridge, Pin-jointed Frameworks and all the hardware needed for the use of the included 25 Seat Structures Software. Complete package for study of Failure. 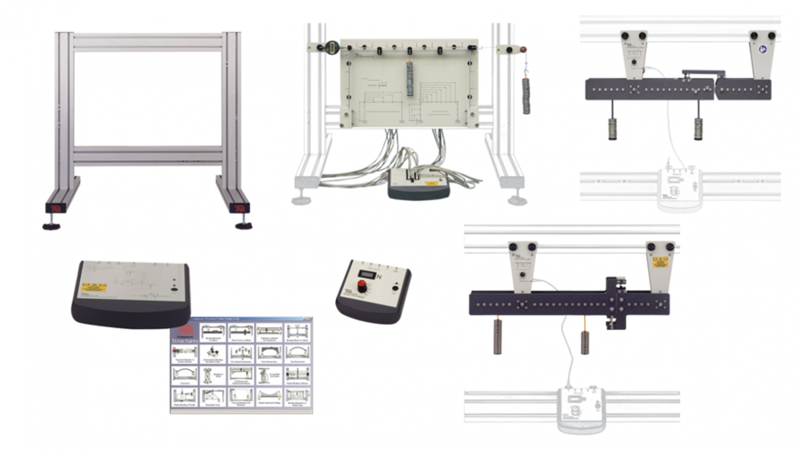 The package includes Euler Buckling of a Column, Plastic Bending of Beams, Plastic Bending of Portals and all the hardware needed for the use of the included 10 Seat Structures Software. Complete package for study of Moments. 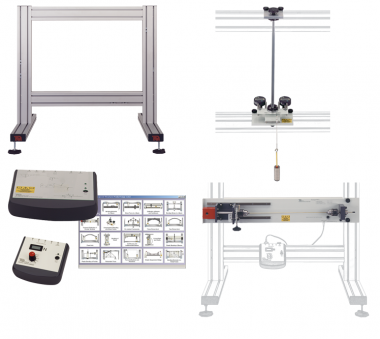 The package includes Bending Moments in a Beam, Bending Moments in a Portal Frame, Shear Force in a Beam and all the hardware needed for the use of the included 10 Seat Structures Software. 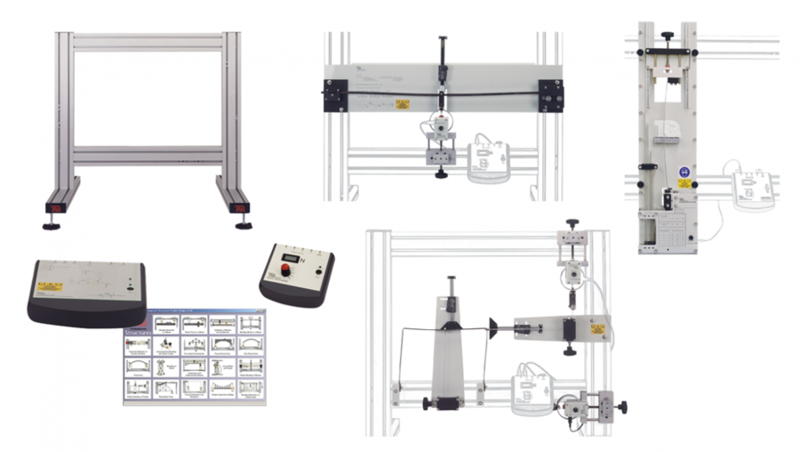 Complete package for study of Torsion. The package includes Torsion of Circular Sections, Unsymmetrical Bending and Shear Centre and all the hardware needed for the use of the included 10 Seat Structures Software. 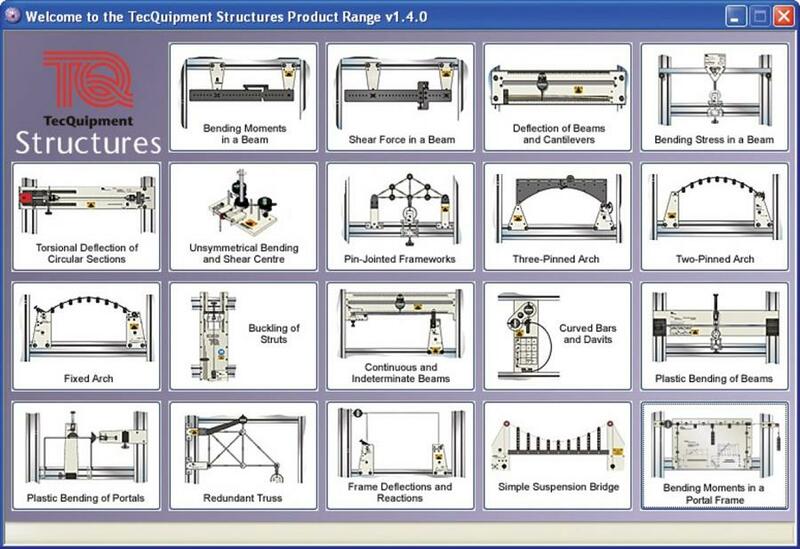 Each Structures package comes with TecQuipment’s Structures Software.